You know when your very close friend has something serious to tell you? Picture your body as you listen: leaning forward, heart open, fully attentive. This is the type of consideration Passenger‘s performance commands. 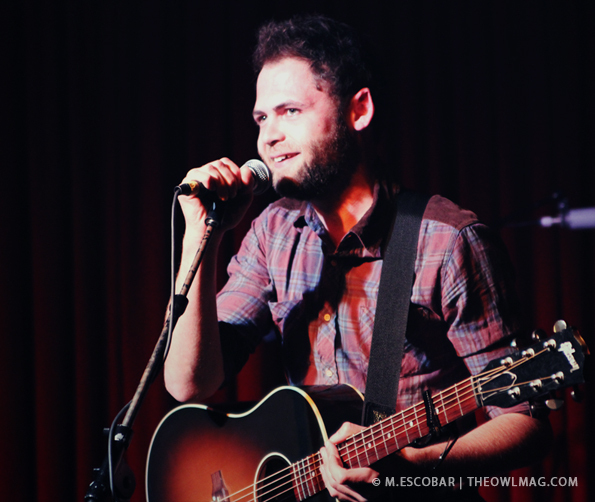 The Hotel Café is a quaint, intimate venue lit primarily by low lights and candles (with the exception of the stage in which a grossly contrasting spotlight shines directly onto the performer). It’s the perfect atmosphere for the journey Passenger takes you on. This man is brilliant and humble. He’s troubling and hilarious. He’s lighthearted and full of heart. His performance mirrored these contrasts. He took the stage with a bright and cheery “Allo, erryone! It’s a bloody pleasure to be here!” After a short, cheerful monologue, he begins the beautifully sad “Fear of Fear.” The whole set commences in this manner (in fairness, he did warn us). A heart wrenching performance of loss and regret had us needing a tissue one moment, only to be picked up and dusted off with facetious stories and ponderings the next. 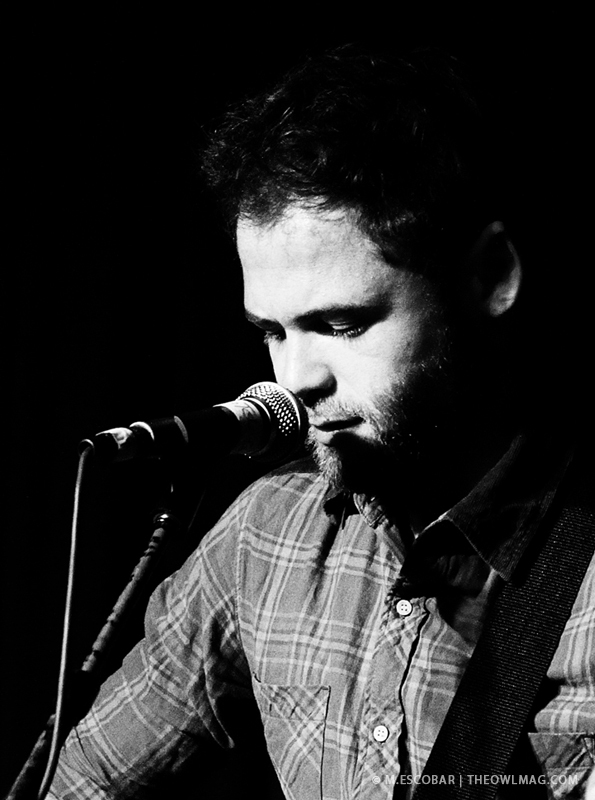 Passenger has an uncanny ability to bring a crowd together. We could’ve been a large family sitting around a Christmas tree singing carols with the camaraderie Passenger evoked. He took requests from the crowd. He used his charm and charisma to lead sing-alongs. At 8pm on a Thursday night, this crowd was likely not relying on the almighty alcohol for this sing-along. We sang loud and proud with him and we would’ve done it again and again. 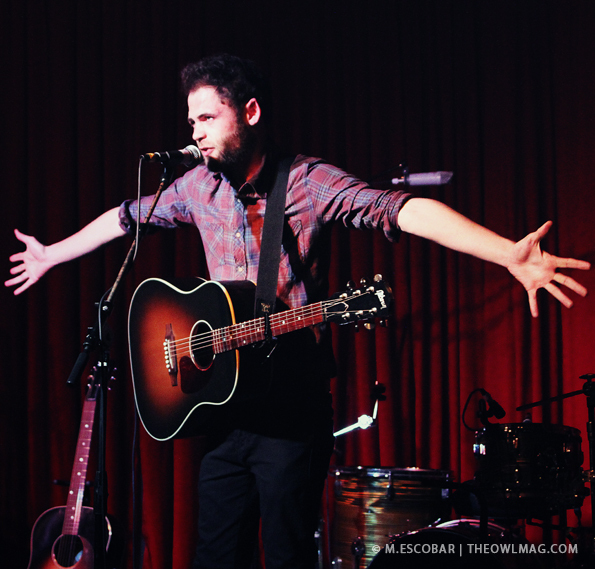 Another memorable occasion of this night was the moment Passenger unplugged, stepped off the stage, and was one with the crowd for an affectionate rendition of “Life Is For The Living.” The audience listened in respectful silence. It was a beautiful moment that not even the bartenders with their untimely need to to use martini shakers could spoil. We ducked out soon after Passenger’s set to catch YACHT performing down the street. Afterwards, on our way back to our car, we ran into him in the alley behind Hotel Café and felt compelled to thank him for the beautiful experience and that’s when it hit us. 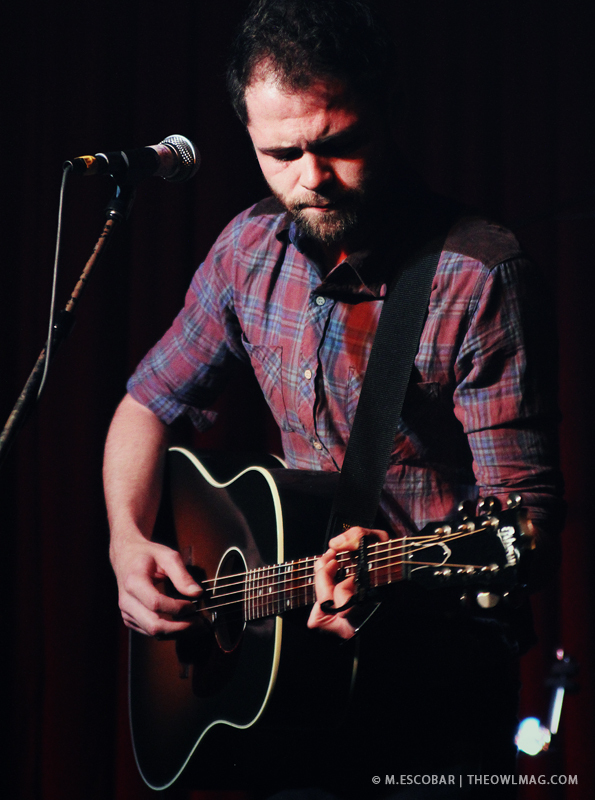 Passenger’s live performance is an experience. His humble energy and open heart give his audience a unique experience, one that will likely not be forgotten.